Leading examinations board, Edexcel, is planning on expanding its Rotherham operation by taking over a vacant unit in Hellaby, a move that would provide 20 jobs. 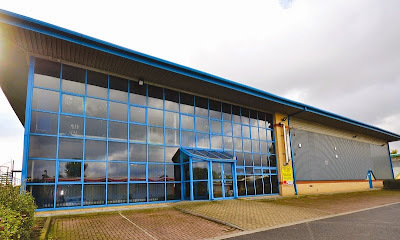 Part of the Pearson Group, the largest education company and the largest book publisher in the world, Edexcel already operates a huge exam paper processing centre in Rotherham spanning more that 80,000 sq ft that enables more than 90 per cent of Edexcel GCSE, A-level and AS-level answers to be scanned in electronically and sent for marking. The revolutionary scanning technology was introduced in 2003 and examiners mark the papers, not by traditional pen and paper, but on screen using a web-based marking system called ePEN, that enables them to access and mark scanned images of candidates' questions, eliminating the problems of sending papers through the post. Over £1m was invested at Edexcel's operations centre in Hellaby in 2005 and the company processes eight million exam scripts every year. Starting in premises at Lowton Way, Edexcel took over the property formerly known as Rion House in 2008. It employs well over 500 staff at peak times, like after Summer exams when tens of millions of A4 sheets are scanned in. Pearson produced an infographic to coincide with this year's GCSE and A-level results days and calculated that 11,713 examiners marked 4,782,503 exam papers. 84% of A-level papers and 90% of GCSE papers were marked online using the ePEN system which meant that the group scanned 53,747,009 exam sheets. Now plans have been submitted that would enable the group to expand into Unit 1 at Eden Close and use it for file storage which requires 24 hours access to deal with orders. The vacant unit was previously used as a training centre for construction trades. The 17,000 sq ft unit is owned by Suon Industrials Ltd and the plans, prepared by DLP Planning Ltd, state that: "The success of the Pearson Group has led to a need to expand. The opportunity to expand into neighbouring premises offers logistical benefits and will provide 20 jobs within the building." The modern warehouse with high quality offices has been marketed by Commercial Property Partners (CPP) and Knight Frank.